Across our North Yorkshire Young People’s Pathway (NYYPP), Activities Workers and Support Workers are developing innovation engagements for the young people they support. From cooking clubs to rhyme time – the activities and group sessions provide essential opportunities for customers to gain skills and enjoy positive experiences. Introducing our customers to new and diverse foods gives the opportunity to learn about different cultures. Cooking good food also provides an insight into different employment and training opportunities, as well as raising discussion around budgeting and healthy eating. Equally important, is the chance for young people to enjoy socialising in a way that so many of us take for granted. The value of families sitting down together to share a meal is one that is well versed. For some of our customers, cooking group activities can offer a first chance to feel a sense of social inclusion in this way – offering a different view of the future. 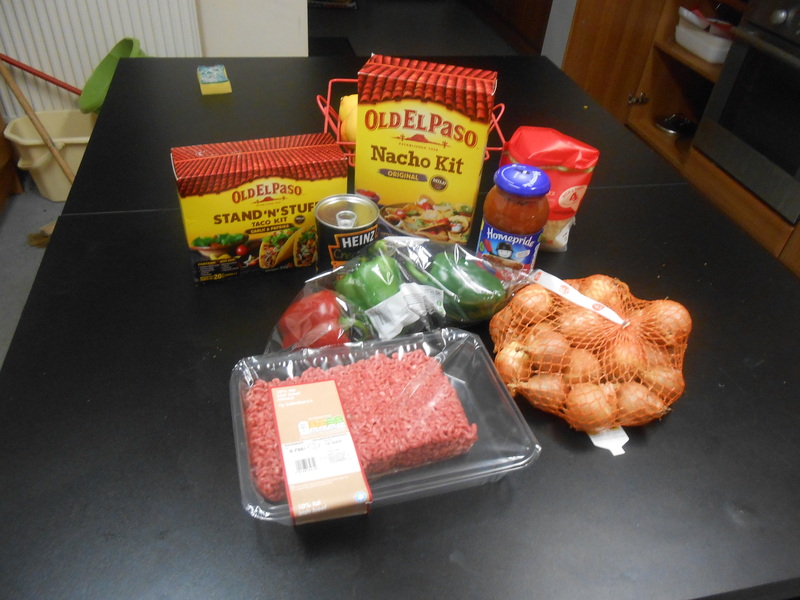 2 customers on the pathway in Selby decided to use their initiative and get out and about with their Activities Worker, Corinna Sutherland, do the food shopping and brush up their cooking skills. 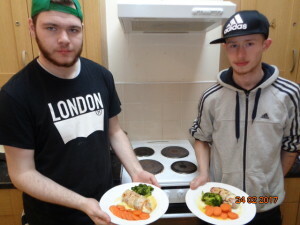 They made up their own recipe of chicken breast stuffed with garlic and basil butter, wrapped in streaky bacon and topped off with some mozzarella cheese, as accompanying vegetables they chose carrots and broccoli. These Foundation customers were inspired by their delicious new concoction and wondered whether being a chef could be a future occupation as they said their meal was definitely restaurant standard and who could argue- it certainly looks it! 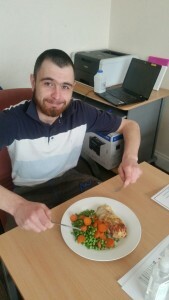 Another customer from the Scarborough Progress Group had his own take on a chicken dinner – Chicken Fajita! 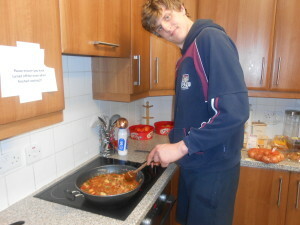 The customer said he thoroughly enjoyed taking the time to cook himself something special to eat. 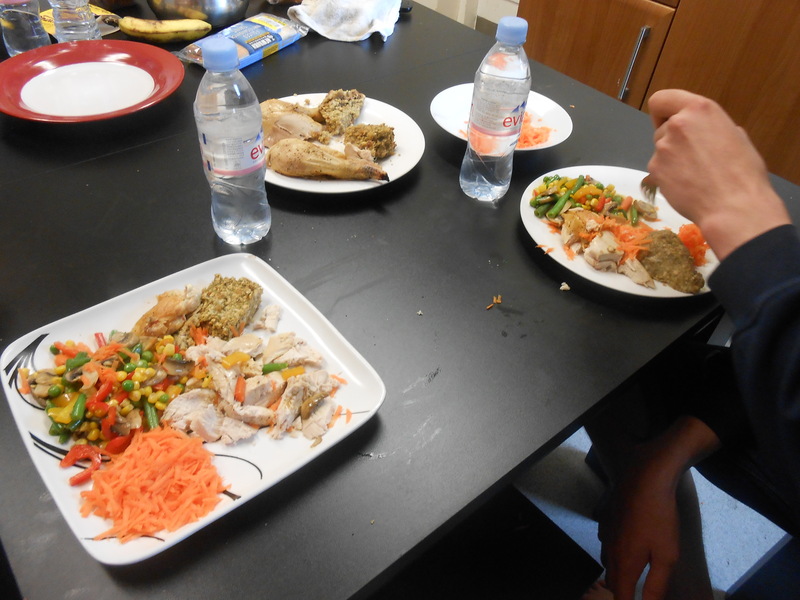 Poplar Villa (PV) have introduced a Tuesday night cooking group, where customers together with students on placement, cook and sample international cuisine. Their culinary travels started out in Mexico and over the next 6 weeks they will visit China, Spain and Poland amongst other countries. This group is complimented by the PV weekly Brunch club (again run by students on placement) and Sunday dinner club – the food is provided for these regular social meal shares from the Tesco Food Share donations. Customers on the Pathway at Ryedale YMCA were looking to de-stress. 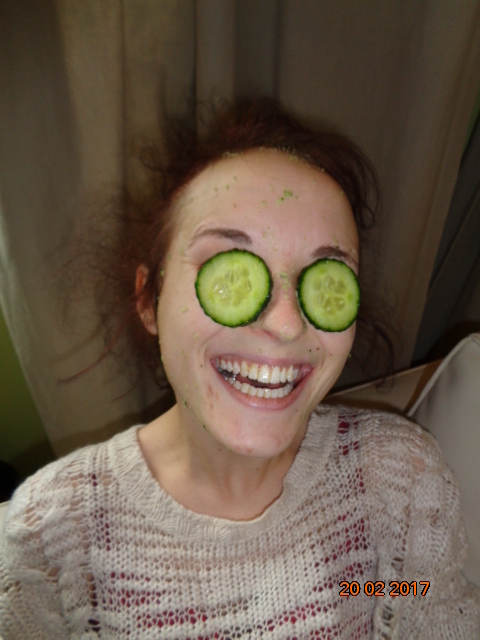 Customers coproduced a Progress session for themselves; deciding to make a simple nutritious leek and potato soup whilst they also made face masks from natural products, all with the aim of de-stressing in a natural cost effective way. Working as a team, some customers made the soup, whilst others prepared the face masks. 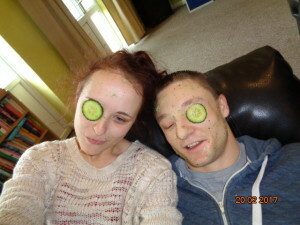 They made a honey and yogurt and a cucumber and yogurt face mask, prepared by blitzing the ingredients with a hand blender and then smearing the results onto their faces – whilst placing a couple of slices of cucumber over weary eyes to give them a fresh sparkle! The delicious leek and potato soup was ready after the face mask session as it had come to a timely boil when faces were fresh after the pampering. Customers said it was a really great way to spend the afternoon relaxing and they wouldn’t underestimate the de-stressing effects of hanging out with friends and getting creative in the kitchen as well as chilling out in a reclining chair with a face mask on, with some friends, listening to tunes. 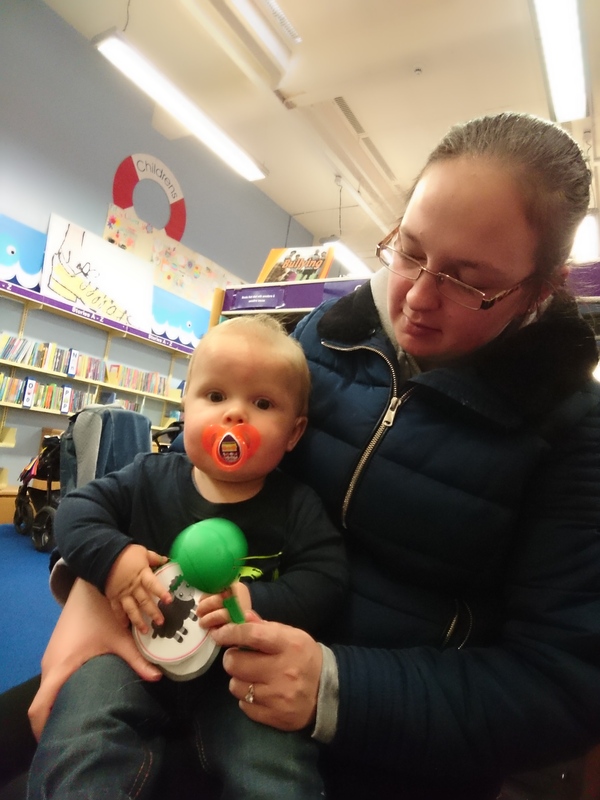 The Activities Worker engaged with young parents on Pathway 2 to help them explore the opportunities within the community introducing their children and babies to the joy of the written and spoken word. Parents met up with the Scarborough library staff and were guided around the facilities on offer and then joined in the Rhyme Time session where a library volunteer read out to the group. 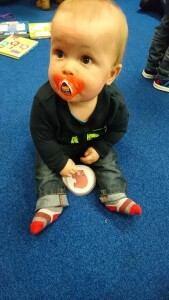 Customers said it was great to hear other people use their voice in a creative way and enjoyed first socialisations with other little ones and meeting other parents. 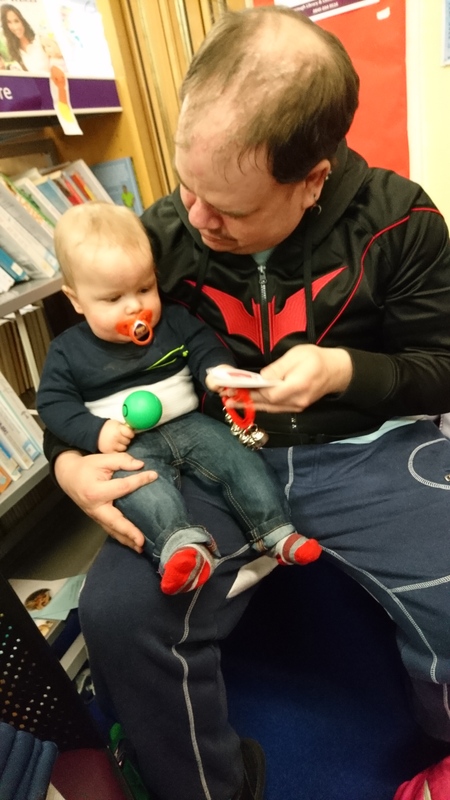 The group now meets again during the week for a Story Time; both sessions offering a rewarding introduction for any child to the spoken word and to the array of facilities on offer at their local library. Poplar Villa residents were also offered an introduction to Library services when the Activity’s Worker arranged for library staff visited them in-house. 3 customers attended and were shown the different types of books available; large print, audio, books for dyslexics, magazines. They also discussed the online facilities available, offering support to individuals to visit the library to use the IT facilities. Customers hoped to join in the library’s upcoming ‘Books by the Beach’ week in Scarborough. As the North Yorkshire Young People’s Pathway continues to develop with Foundation, Activity Workers play a crucial role in innovating the service. Peer Mentoring schemes, Volunteering opportunities, the Progress Groups and various other group activities will all work alongside more traditionally viewed support work; helping young people entering the pathway to leave it with the skills, aspiration and motivation to continue independent and happy futures.